The JAWSAT project was an 18-month contract requiring that CAST/OSSS deploy to space one of two things. 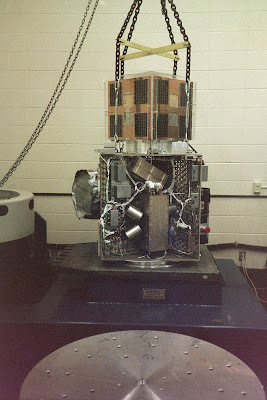 A mass dummy of the proposed satellite payload to be used in the case of a lack of the completed JAWSAT payload, or the complete integrated payload. The contract called for the successful deployment of five satellite payloads to orbit aboard one launch vehicle, the Minotaur. As a result we were working with some 18 different organizations including NASA MSCF (link), La'Gard, Stanford University, Arizona State University, CSA Engineering, USAF, USAFRL, USAF Acadamy, Orbital Sciences, TRW, and a host of others involving students, teachers, and professionals in industry that were volunteering their time. I was tasked with creating and maintaining an online Access database outlining the requirements and documentation of the JAWSAT program and other projects. At my direction, the team set up a web site at which the respective organizations could upload via FTP client a weekly report that was automatically formatted and posted to the CAST web site, which kept all parties involved informed of the progress of the project. This was an innovative and unique management tool never before used in such a way for an Air Force project. The online database made system requirements, cad model, documentation and more available to all parties and enabled each to download specifications for design efforts, analysis reports, testing requirments and more. These efforts and other management tools implemented by the team and myself enabled the successful completion of the project on time and on budget integrating five major satellite systems into one payload for launch and deployment per contract requirements. 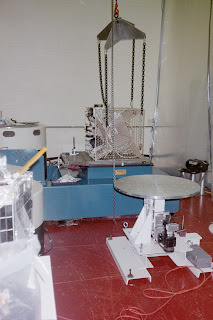 Much of my participation in the integration and testing of the systems was to provide tooling and fixturing for such activities as spin balance and vibrational analysis using the equipment seen here. Other aspects of my participation involved ordering supplies, preparing the class 100 thousand clean room and other facilities for use in testing and integration efforts. The vibration equipment was owned by Weber State and the Spin table was on loan from USU Space Dynamics Laboratory. 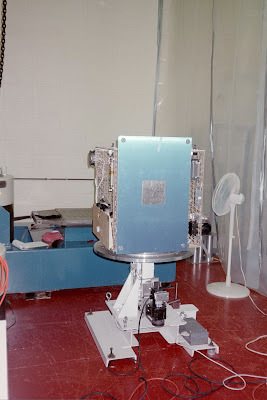 The results of testing using this equipment demostrated that the mass properties and CG were within the specifications called for by the launch vehicle. Other systems requirements for the transportation of the satellite payload were developed and the system built by myself and the team.